“The very same people who verbally defend the independence of the judicial authorities... have not hesitated... to speak of fabrications and fixed trials,” Tzanakopoulos said, accusing opposition New Democracy and PASOK of attempting to intimidate judicial authorities from investigating the case. The war of words comes a day after corruption prosecutors shelved a large part of the case, which has been built entirely on witness accounts and suggestions inferred by prosecutors that studied the case file. Prosecutors on Monday cleared four of the 10 politicians – former ministers Evangelos Venizelos, Andreas Lykouretzos and Georgios Koutroumanis, and former premier Panagiotis Pikrammenos. The case still remains open for former New Democracy premier Antonis Samaras, former finance minister and current Bank of Greece Governor Yiannis Stournaras, European Union Commissioner Dimitris Avramopoulos, former minister and current vice president of New Democracy Adonis Georgiadis and former minister Marios Salmas, though judicial sources clarified that no evidence has emerged that they received bribes or violated the law. At least four of them are expected to be cleared by the end of April at the latest. The only name that remains in the case file is that of former PASOK health minister Andreas Loverdos, with judicial sources stressing that in his case there has been no evidence to suggest that he received bribes. 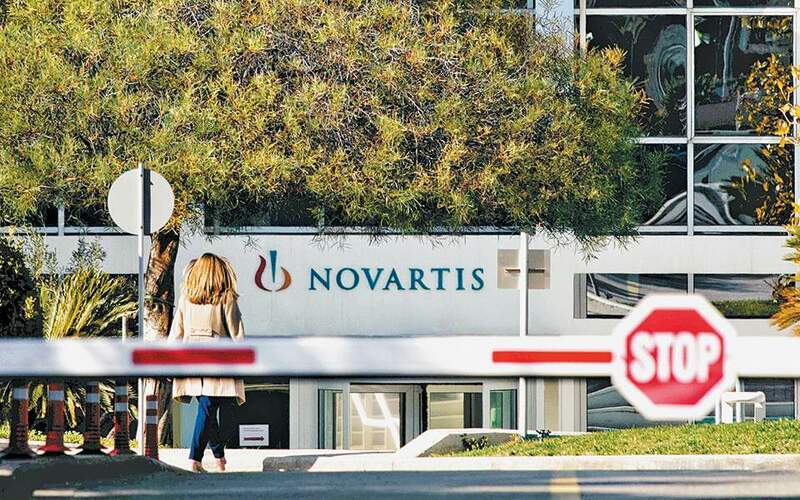 “The Novartis scandal is the other way around. It concerns those who organized the frame-up; the biggest and most ill-conceived political frame-up of the past few decades,” Venizelos said on Monday. The gradual collapse of the case is seen as a blow to SYRIZA, which had hoped to see its flagging popularity boosted ahead of local and European elections next month, and general elections after that.